All the tourists and labourers, stranded at Khardungla, Nubra, in Leh district, were rescued late last night. According to a police official, as many as 400 tourists, including women and children, and 42 labourers had been stranded at the pass for almost six hours due to snowslides in avalanche-prone areas on a 10 km stretch between South Pullu-Khardungla-North Pullu, 45 km from Leh, following bad weather. 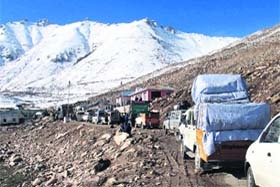 Stranded vehicles at the Khardungla in Leh in Jammu and Kashmir. Strongly rejecting allegations of corrupt practices levelled by Team Anna against the UPA government, the Prime Minister�s Office today emphasised its demands to set up a Special Investigation Team (SIT) or fast track courts could not be accepted. The corporation elections in the four major cities of Punjab will act as a barometer of popularity of the SAD-BJP combine and the Congress in urban areas. The Special Investigation Team (SIT) headed by Haryana Additional Director-General of Police (Law and Order) MS Mann has sealed the controversy-ridden Rohtak-based shelter home, �Apna Ghar�. 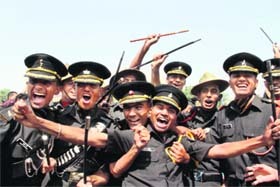 Chief of Naval Staff Admiral Nirmal Verma has exhorted Gentleman Cadets (GCs) not to rest on their laurels and asserted that perseverance is an essential prerequisite to success. Industrialist-turned-politician G Deepak Reddy will become the richest lawmaker in India if he wins the June 12 byelection to Rayadurg Assembly seat in Andhra Pradesh. The people of Punjab may not have to wait for too long to taste the famous �Murree Beer� of Pakistan. 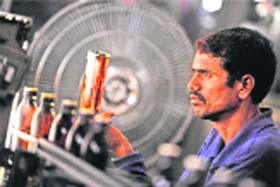 With India and Pakistan determined to give a new direction to their economic ties, the 150-year-old Rawalpindi-based Murree Brewery is looking for Punjab-based beer importers to sell beer and spirits to the northern state.